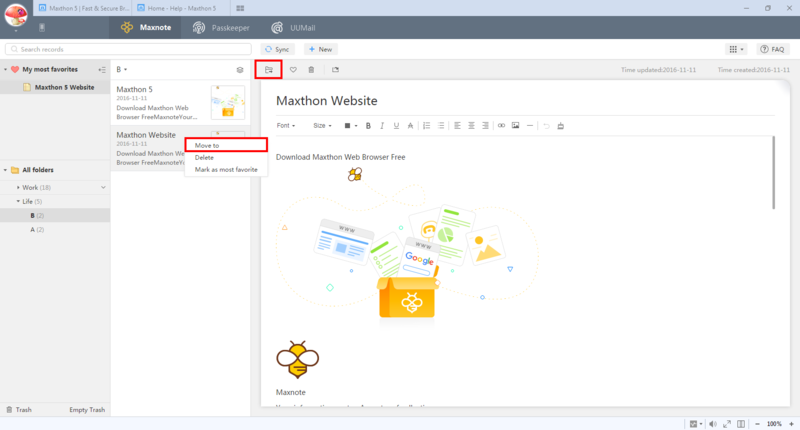 Maxnote is one of the three extraordinary services/functions of MX5, which upgrade “Favorites” to “Favorites 2.0”, supporting not only bookmarks, but also web content, snapshot, selection, whole page, and even online notes. 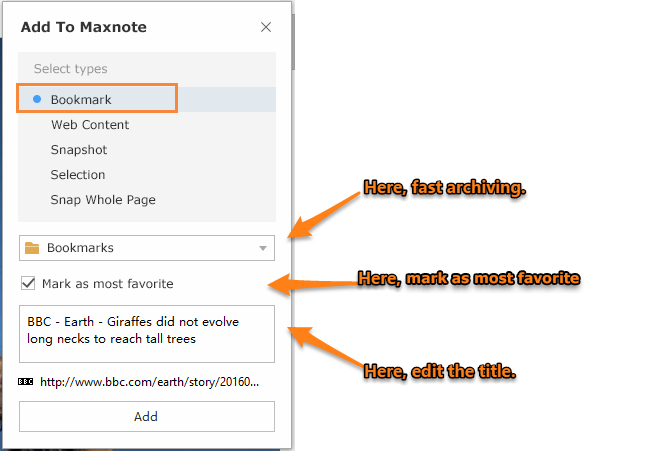 How to add content to Maxnote? 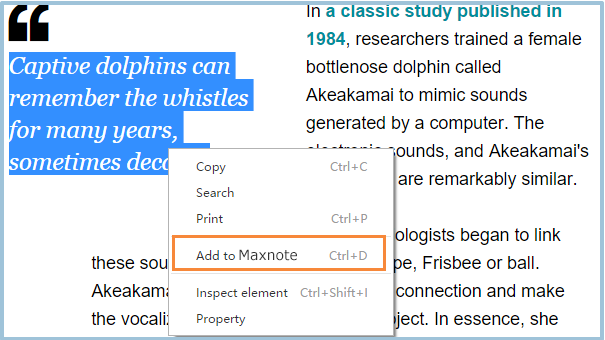 For bookmark or URL, there are three accesses to Maxnote: Clicking the Bee button at end of address bar, clicking the Favorites button before address bar (make sure you have not hidden Favorites button), or clicking the yellow Star button at left of Favorites bar (make sure you have not hidden Favorites bar). “Mark as most favorite” is an option offered if you have certain bookmarks frequently-used, you can mark it as most favorite during adding, which will help you locate this bookmark from your Maxnote more quickly. 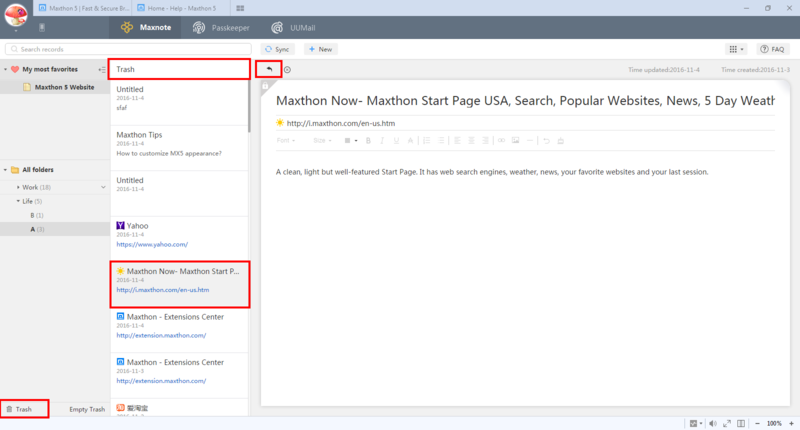 1.Bookmark: Maxthon collects bookmarks by fast archiving and marks as most favorite. 2.Web Content: help to remove ads, distraction, and useless information, and save the content that matters only. 3.Snapshot: create clippings with edit functions. 4.Selection: drag your mouse to select and save all you want all. 5.Snap the whole page : save the whole page as an image. To initiate Maxnote when your MX5 is open, you can click your avatar on upper right corner, or press shortcut of “Ctrl+G”. With the latter way, you will open a new separate window before current browser window. How to locate one record quickly? 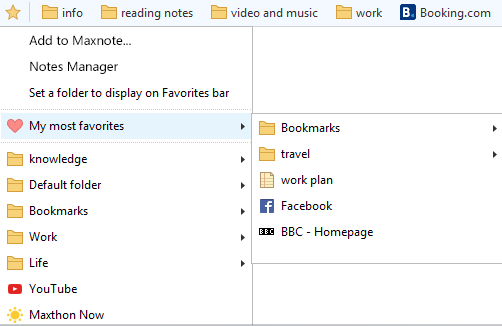 If you have many records and folders in your Maxnote, you can locate a certain record quickly by following two ways: My most favorites and Search records. 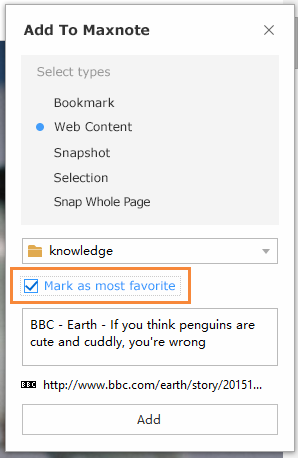 My most favorites: As we mentioned above, for those most frequently used content, you can mark them as “My most favorites”. 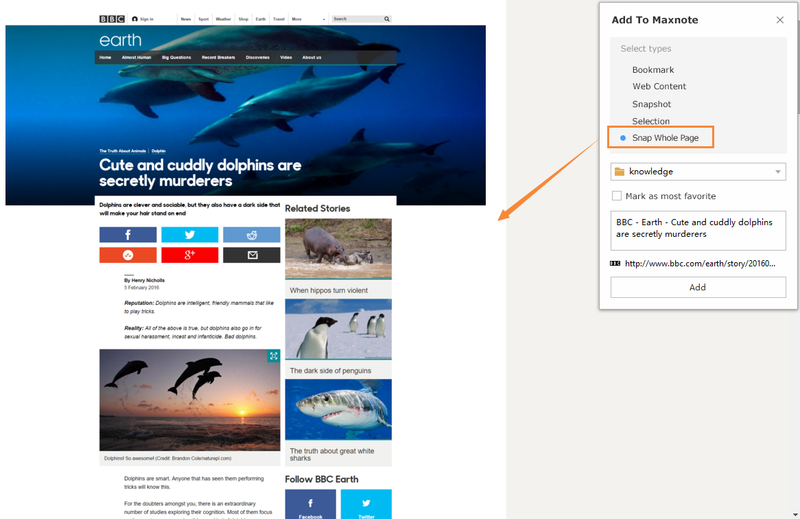 You could mark a website, a note, or a whole folder as most favorite to implement quick locate. After that, open your personal center-Maxnote, My most favorites will show in the left column to facilitate your quick locate. 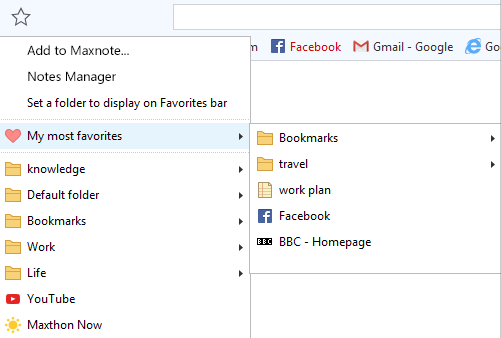 Open your Maxthon browser, the Favorites Bar shows the Maxnote’s “My most favorites” immediately. By the way, dragging to change sequence is available for both Shortcut Bar and Maxnote’s folder column. Search records: You can use search records to search for the related records by keywords. 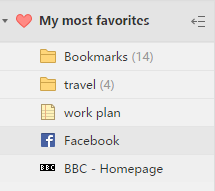 How to use “My most favorites”? Heart button: At the right corner of each record detail, click the heart button to mark or unmark. What to do if I delete a record by mistake? Maxnote offers a regret chance for all users. If you delete any record by mistake, you can restore it from Trash. Enter your Maxnote>Click “Trash” and enter Trash list>Select the item>Click “Restore” button. How to move record between folders? 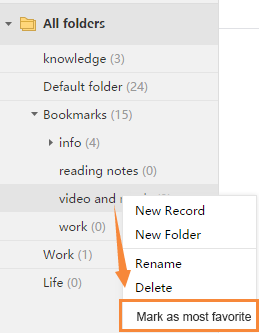 There are two ways to move a certain record from one folder to another. The second one, select certain record, there’s a “move to” button at the upper left corner of each record detail section. Click that button and choose your target folder. How to export my records in Maxnote? Currently, for V5.0.1.3000, it does not support export batch export for Maxnote content, but you can export a certain item on its record detail section with “Export to” button. 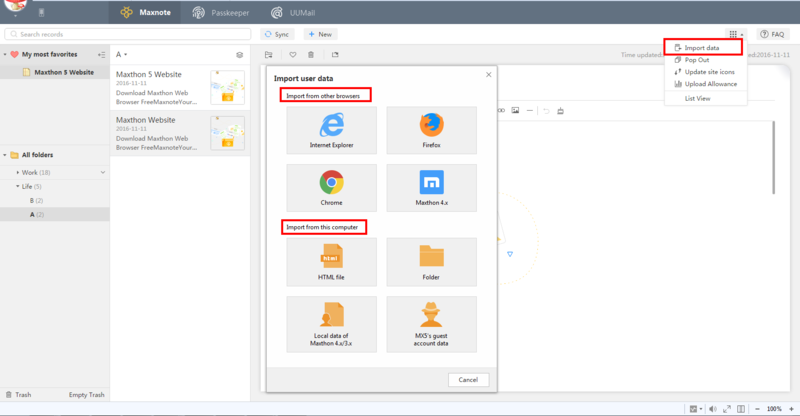 “Import data” is used when you have favorite records saved in other browser, local device, other versions of Maxthon browser. You can import your favorites from above to your Maxnote. 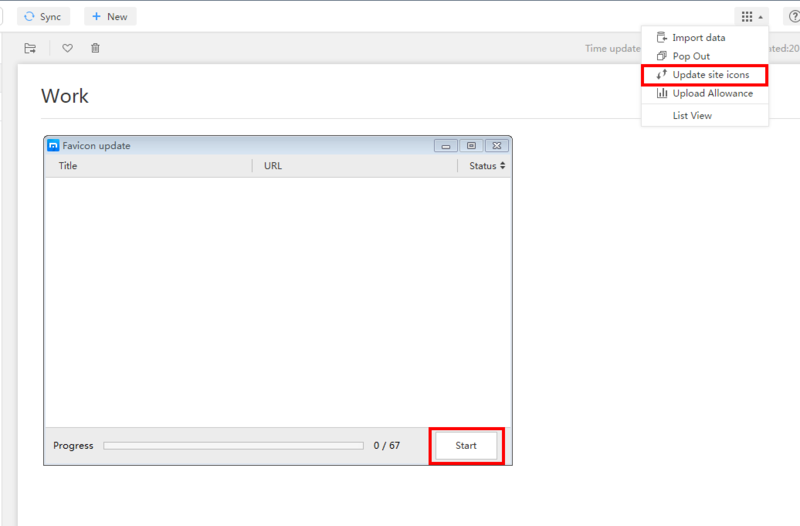 As we mentioned above, you have two ways to initiate Maxnote: “Ctrl+G” or clicking the avatar. “Ctrl+G” will open Maxnote in a separate window for you, and clicking the avatar will open your Maxnote based on current browser window. 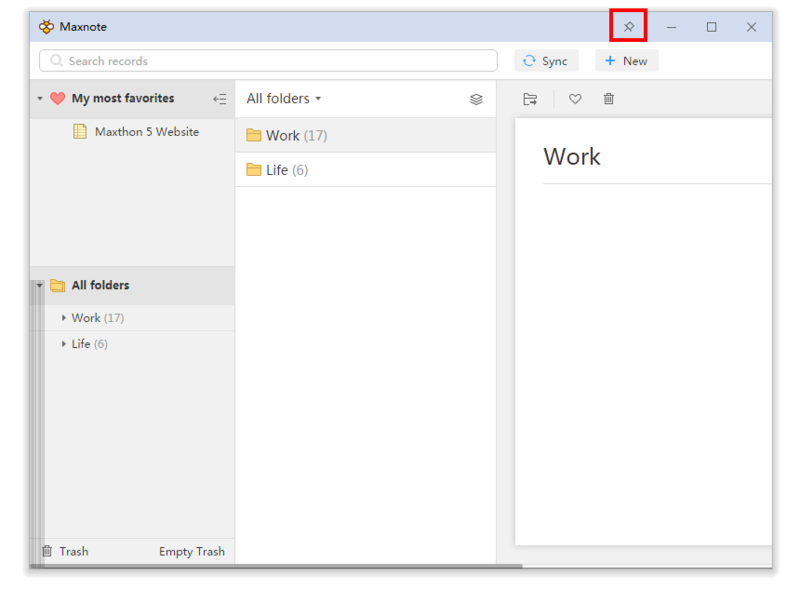 If you need separate window for the second way, you can use “Pop Out” function. On Pop-out mode, Maxnote window could be pinned to the frontest with Pin button on upper right corner. “Update site icons” is used when some imported favorites’ site icon couldn’t be updated. Please click “Start” after “Update site icon” is selected. 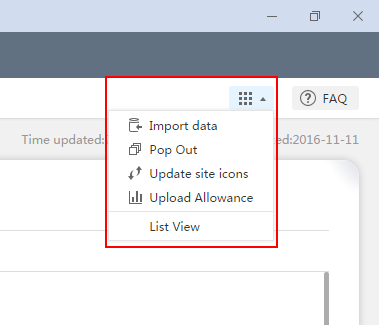 “Upload Allowance” will show your upload allowance monthly, and how much you have used currently. It will help you know better about your data usage and manage them properly. 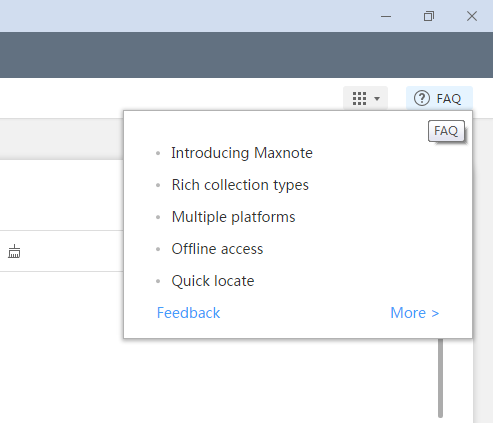 You can know more about Maxnote from FAQ section. 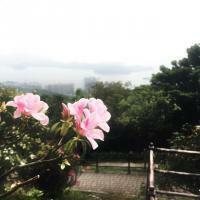 Here we listed some frequently-asked questions and answers. Above is a general introduction about Maxnote, please feel free to contact us when you still have any other questions in future. BTW, thanks for users' massive feedback, we have added the export function in the latest internal version (5.0.2.400) now. So please stay tuned for our next public version. 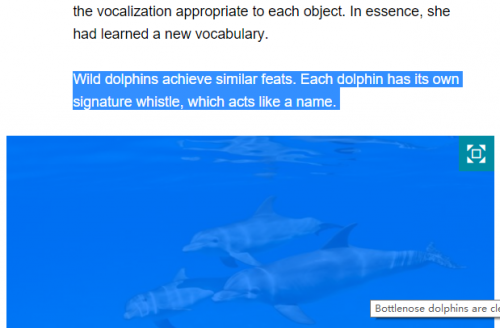 It will give you a refreshing experience with these features you are longing for so long.